Sign up to our newsletter here to receive a 20% discount off any order. All on Show takes the circus in literature as its theme. 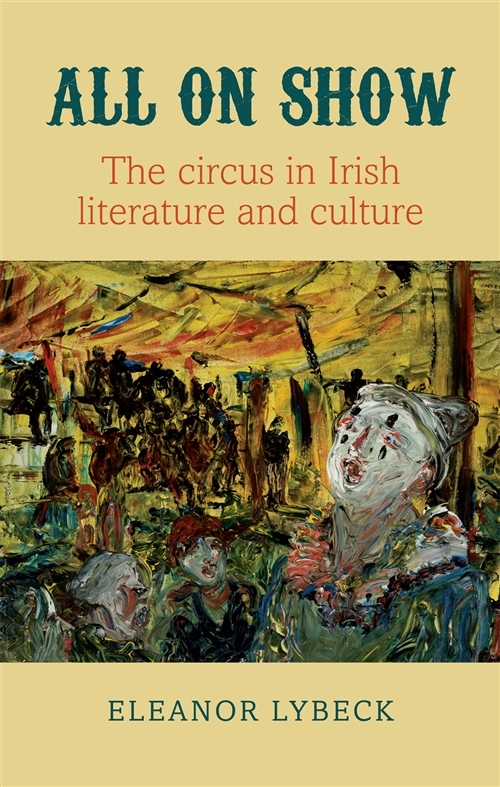 The book introduces readers to the obscure history of the circus and travelling entertainment in Ireland while contextualising celebrated works by major writers of the twentieth century including � Conaire, Joyce, Yeats, Friel and Heaney. It uses theories of performance to explore how and why writers might turn to the world of the circus for inspiration as they confront issues of politics, national identity, gender and sexuality. At the same time, Lybeck acknowledges the sensual intensity of the circus while reading live performance events, film and visual art alongside her literary subjects. The study is complemented by analysis of hitherto neglected archival material and exciting original interviews with John Banville, Neil Jordan and Paul Muldoon. Never before has the circus been treated with such seriousness as a theme in Irish writing. As a result, All on Show, offers readers the opportunity to reflect on changes in Irish culture and society from a unique perspective: one that is at once dazzling and unsettling; disheartening and enchanting. Eleanor Lybeck is a lecturer in English literature at the University of Oxford. She is a BBC Radio 3 New Generation Thinker and co-director of the production company Sidelong Glance. Dont forget to sign up to our newsletter to get our discount code and latest updates.